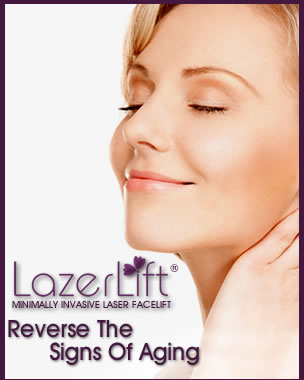 The revolutionary new LazerLift® procedure is an excellent option for people who want to look younger, but who don’t want or need an invasive surgical facelift. If you’re interested in restoring youthful contours in your lower face and neck, but want to avoid general anesthesia, invasive incisions, and extended downtime, LazerLift® could be right for you. Some of the earliest and most prominent signs of aging can be seen in the lower face and neck. As skin ages and loses its natural firmness and elasticity, men and women tend to develop loose and sagging skin in the lower face, along the jawline, under the chin, and in the neck. Some people may notice these changes as early as their late 30s, while others may seek to reverse these signs of aging through their 40s, 50s, 60s, and later. It’s never too early or too late to look your best. 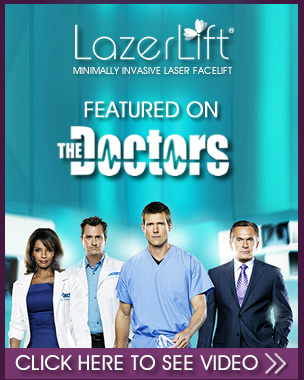 Is the LazerLift® right for you? Look as good on the outside as you feel on the inside? Reduce the signs of aging in your lower face and neck? Tighten and lift sagging skin? Smooth deep creases and wrinkles? Replenish youthful contours in the face, chin, and jawline? Reduce the appearance of jowls and turkey neck? Avoid the risks and discomfort of more invasive facelift procedures? Get great results with no scalpels, stitches, or scars? Look younger without breaking the bank?